In the previous mission, we made the links on the screen work by giving actions to its events. Now, we're going to continue with the New Car screen. 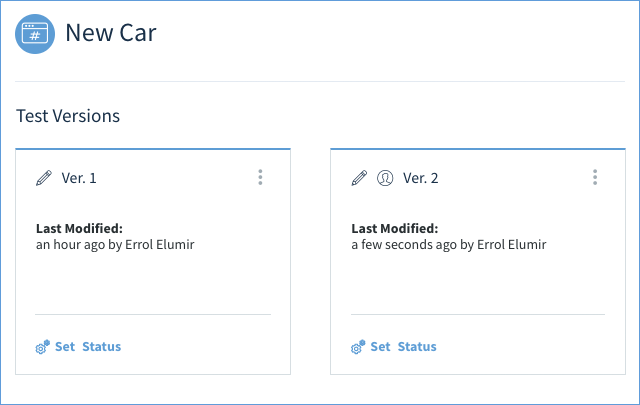 At the moment, we can create a new car, but how do we edit an existing car? There's no way to do that. One could create a completely different copy of the New Car screen and repurpose it, however, since it will do the exact same thing, why can't we use the same screen? This is what we will do in upcoming missions, but before we do that, it would be a good time to introduce you to versioning. For more information on how to use screen versions, please see our article Screen Version. Since we plan on altering the New Car screen significantly, it would be handy to have a backup plan in case we make a mistake or we change our mind, That's where Versions come in. Let's create a new version of the same screen. 1. 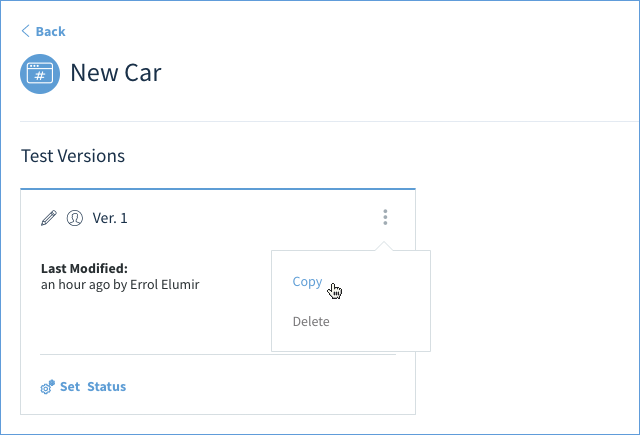 Click the vertical ellipsis ( ⋮ ) on the Cars App and choose Manage. 2. On the New Car screen, click the vertical ellipsis ( ⋮ ) and select Versions. 3. Click the vertical ellipsis ( ⋮ ) on Ver. 1. From the dropdown, select Copy. 4. You will be taken the Design Mode of the New Car screen, but you will now be working on a separate version. For now, select Close to exit Design Mode and return back to the Versions screen. 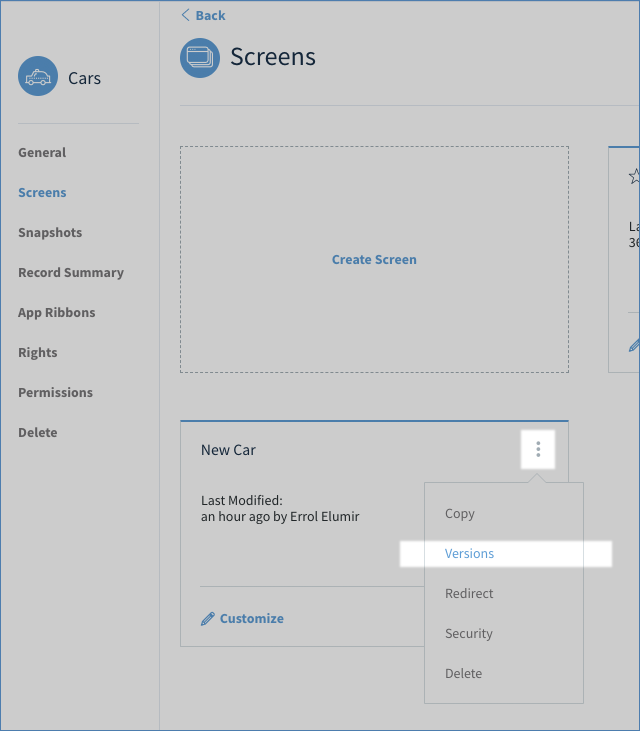 You have now created a second version of the New Car screen. Any changes you make in this version, will not be reflected in Version 1. Note the little person icon by Version 2? That indicates the version that is active for you. Whenever you customize the New Car screen, you will be customizing Version 2. With the new version created, we can now make edits with abandon. In the next mission, we will make a new screen to edit cars.